Members unanimously agreed a response to the consultation on proposals which would require certain town and parish councils to hold referendums if increasing their precept by two per cent or more. Extending what already applies to county councils, currently, the proposals would only apply to local councils whose band D precept exceeds £75.46 and whose total precept is more than £500,000. 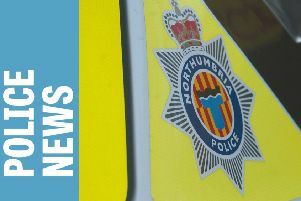 This would not apply to Alnwick, as although its band D precept is above the threshold – £93.62, the total precept is well under the that threshold at £244,253. The town council’s overall response to the consultation is that ‘we feel at this time, having regard to circumstances, there is no justification to consider capping for local council’. One of the main issues is that many of the increases seen in Northumberland in recent years are down to the county council transferring services to town and parish councils, eg, bus stops, play areas, toilets, litter bins, planting, allotments and additional grass cutting. While the Government’s proposals do make reference to a possible exception in this case, but members felt that the devil is in the details. If Alnwick Town Council were required to hold a referendum, it would cost around £7,000 to £10,000. • The county council is consulting on behalf of BT about the proposed removal of around 170 phone boxes across the county. There are two earmarked for closure in Alnwick – outside the Wagonway Road Post Office, which was used for 121 calls in last 12 months, and on West Acres, which was used 70 times. Members agreed to suggest that both are retained as well as the public phone at Alnmouth Station.